Call to RSVP if you are interested. 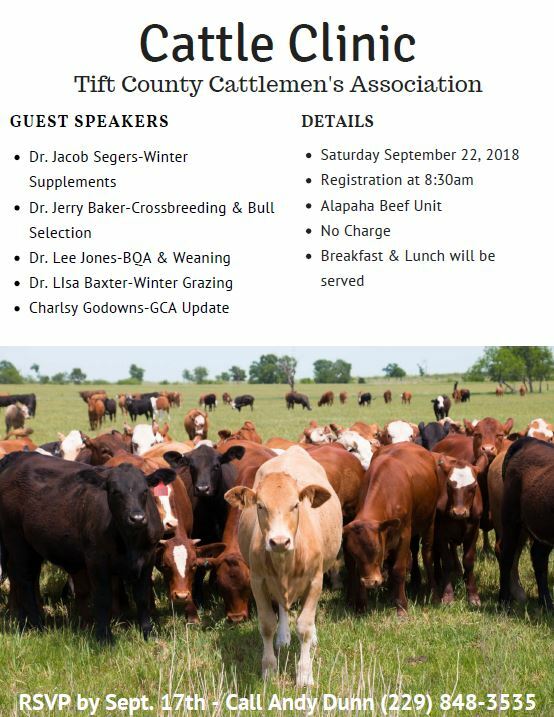 The Tift County Cattlemen’s Association would like to invite you to our “Cattle Clinic” on Saturday September 22nd at the Alapaha Beef Unit. This a free clinic with breakfast and lunch provided. Topics to be covered are Winter Supplements, Crossbreeding & Bull Selection, BQA & Weaning, Winter Grazing, and GCA Update. 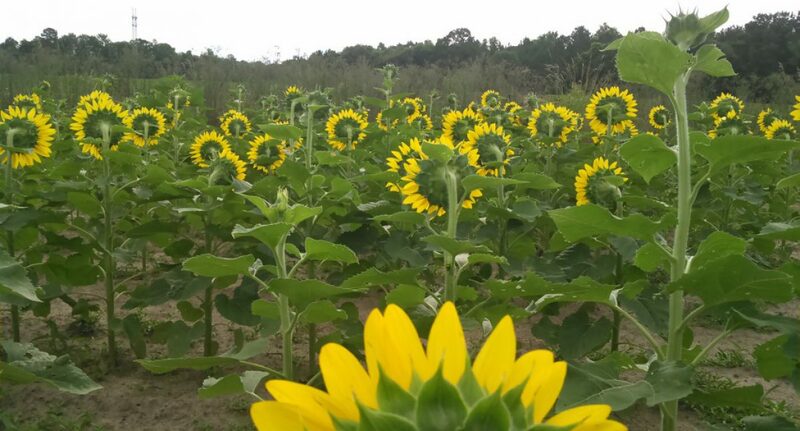 If you have any questions please contact Andy Dunn (information is on flyer) or myself (Tift Co. Extension Office – 229-391-7980). If you would like to come please RSVP so we can have an accurate breakfast and lunch count.